Here we are again. Another busy week. We have lots of orders coming through and I am really pleased with how our Fairtrade company is doing. 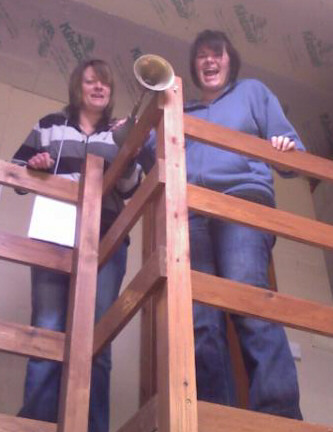 When things go well we have a “company horn”. 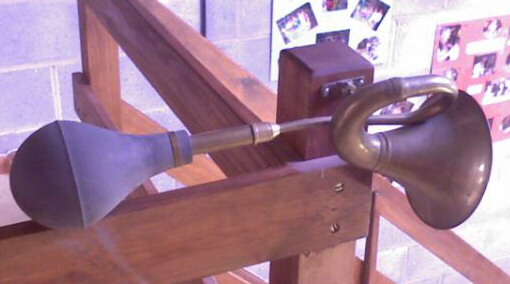 It is an old brass antique horn and if someone in the company has something to celebrate then they honk the horn! This week it got honked twice. The first time Karen and Ros finished embroidering around 1000 fleece jackets. Whew! A real time for celebration and a good old honking of the horn. The second time was was Ros received her Fire Marshall certificate. Ros had been on a workshop to learn all about fires, how to stop them happening, how to put them out, and how to get everyone out of the building. Everyone who has been on the course finds it very interesting. So we are looking forward to Ros teaching us all she knows.